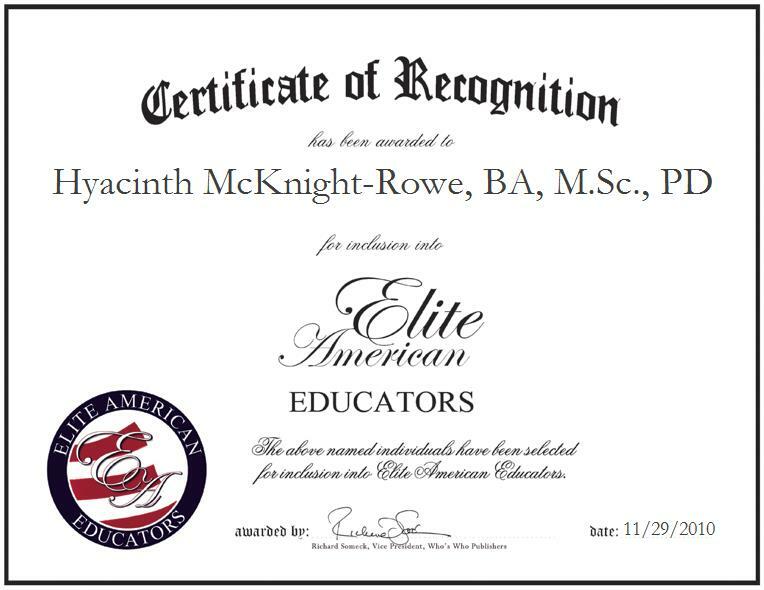 Hyacinth McKnight-Rowe, BA, M.Sc., PD, Assistant Principal at Gladstone Atwell Middle School 61, has been recognized by Elite American Educators. An expert in reading and leadership consulting, Ms. McKnight-Rowe has over four decades of service in the education industry, with 18 years as assistant principal. With a strong passion for education, Ms. McKnight-Rowe attributes her success to her personal drive and strong desire to succeed.